As its name suggests, Mass Communications is a study of communicating with the masses. Although, that is not a proper definition of this field of Arts, we could say that in layman's terms. Technically speaking, Mass Communication is all about transmitting or giving information and then examining the effects of that message on the audience. Its about telling a story or sharing an opinion in order to persuade a large audience. Therefore, mass communications is a very important course for those who are interested in working in careers such as Marketing, Advertising, Journalism and Public relations. For conveying or sending our messages to the desired audience, we make use of a channel or medium which is called mass media. The Television, Radio, Newspaper, Magazines and blogs on internet are all examples of Mass Media through which our message reaches the targeted audience. The outcomes of studying mass communication are very vast. 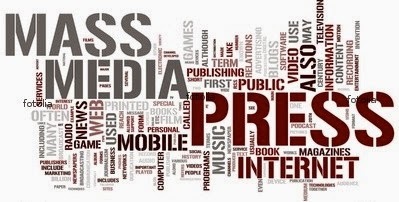 The mass communicators are not limited to use the techniques or methods during their work that they learned through Mass Comm but they become successful communicators in their everyday life. They know how to persuade others and how to effectively transmit your message to others. If you are looking to get a job or to start a career in mass communications then you have a lot of options to choose from. Actually, Mass Communication open doors to many careers in PR, Advertising, Marketing and other fields related to communication. You can click here to visit this page to know more about careers in communications.